By definition it is simply put as a feeling of expectation and desire for a certain thing to happen. A feeling of trust. Although used sometimes in the same context, hope is very different from faith. I have heard that faith is holding onto God while hope is God holding onto you. In life we will come face to face with situations that will shake the very core of our foundation. Circumstances that will try to wear us down. During this time, the storms are so heavy that our faith feels weak, emotionally and sometimes physically. We cannot see the promises of God let alone claim any victories for our life. When our world is being rocked all we can do is hold on to HOPE. I love how the bible uses an anchor to describe what hope can do for us. An anchor is a device used to prevent a ship from drifting due to wind or current. The only way a ship survives a storm is by setting down its anchor on a firm foundation. When the winds blow and the waves threatens to carry the ship out to sea, the sailor takes on the storm by securing the anchor in solid ground. It is not by the strength, might or know-how of the sailor. It is only by locking the anchor into the solid rock. How wonderful would it be if life was always secure and comfortable. 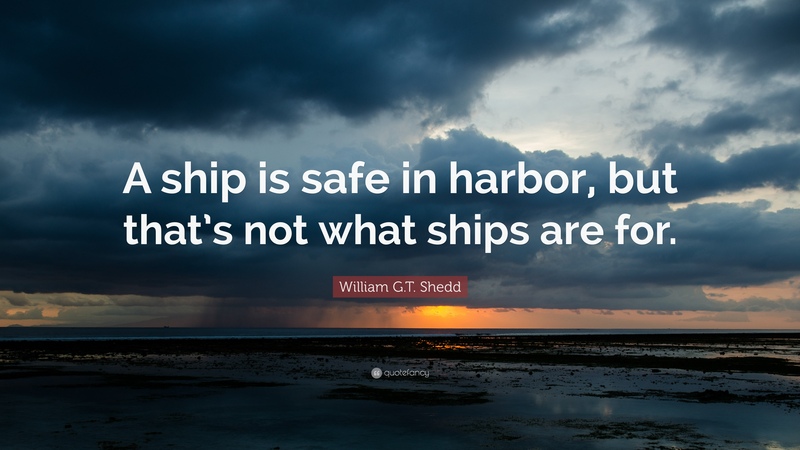 Who doesn’t want to live a life safe in the harbor and free from danger? I know I would, but the reality is that we have to venture off into the sea. We take challenges, we take risks, we open our lives to others that could possibly hurt us. It is truly inevitable that we will come across storms, challenges and disappointments. This is why the author of Hebrews encourages us to take hold of hope and use it as an anchor. In our opening scipture, the people were facing hardship and persecution. A few were tempted to abandon the faith and return to their old life. The author uses the anchor as an illustration to remind the people that when the storms come, they can rest assure in the abiding hope found in Jesus. He is our security, He is our hope, He is our anchor and He alone will get us through ANY storm. There is only ONE hope and it is Him. Having a firm anchor of hope in Jesus does not mean that we are perfect or that will have a perfect life. We will have struggles, we will suffer, and we will stumble. Our hope means that no matter what comes our way, we will be okay. We can trust in God’s firm promises and have confidence that His word will come to pass. God will give us the strength to make it through another day. His grace will give us the hope that even in our imperfection, we are loved and we our His children. What are you placing your hope in? What is the anchor of your soul? Is it in money, people, relationships or a job? I encourage you this day to place your hope and trust soley in Jesus. What we do not know, teach us. What we do not have, give us. Next > Hear. Forgive. Heal.